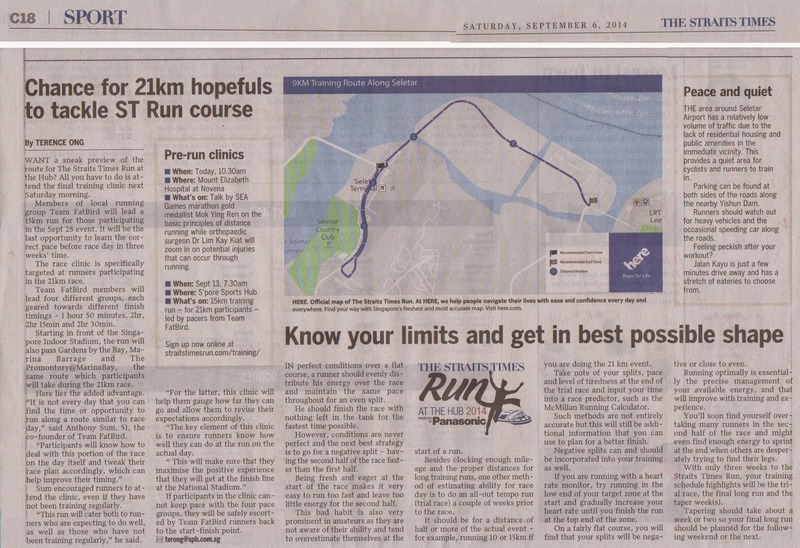 Ready For Straits Times Run @ Sports Hub? To gear participants up for the Straits Times Run at the Sports Hub, race event organizer Infinitus Productions and The Straits Times have lined up a range of training clinics, workshops and long paced runs to prepare runners for the exciting race on Sep 28. In the final installment of the training run series led by Team FatBird Pacers on Sep 13, Half Marathon participants of the ST Run @ Hub will be given a preview of a segment of the actual race route as well as pace runners to gauge their level of readiness for the event with a 15km paced run. Due to overwhelming response, registrations for this training run is closed. We look forward to seeing registered participants at this 3rd and final training run! Be The First (to finish) At The Hub!